Don McGahn in three interviews totaling 30 hours over the past nine months, described Donald Trump's furore toward the Russia investigation. The White House's top lawyer has cooperated extensively with the special counsel investigating Russian interference in the 2016 U.S. election, sharing detailed accounts about the episodes at the heart of the inquiry into whether President Donald Trump obstructed justice, the New York Times reported on Saturday. 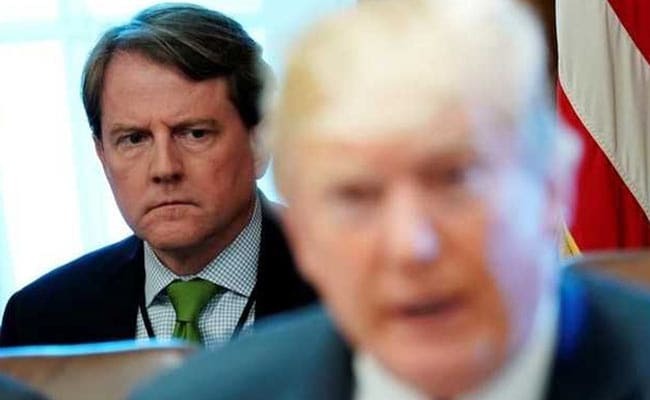 According to the New York Times, McGahn in at least three voluntary interviews with investigators that totaled 30 hours over the past nine months, described Mr Trump's furor toward the Russia investigation and the ways in which the president urged McGahn to respond to it. After the Times story was published on Saturday, Mr Trump tweeted that he had told White House staff to cooperate.